Silvia Martínez ensures that all CEA standards are maintained in Madrid. Silvia oversees all educational programs, including short- and long-term program planning, products, and services, and maintains the financial plan for Madrid. She also manages student services, host institution relations, local vendor relations, program improvements, and staff. Silvia was born in Cádiz, South of Spain, but has always had close contact with the American culture and the English language. She lived in a U.S. Naval Base for two years and has many relatives in the U.S. Silvia has studied and worked in Spain, England, and Canada in the fields of Administration, Tourism, and Study Abroad. She interned at an Irish Building Society in London and worked in a Canadian study abroad company leading groups of Spanish students in Toronto. 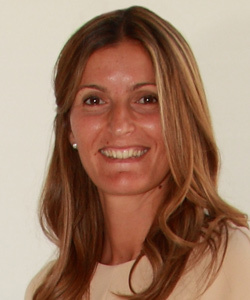 Before joining CEA in 2002, Silvia worked at the North American Universities and Institutions Centre at the University of Alcalá de Henares for two years. She holds a degree in Tourism Management from the Univeristy of Alcalá. Silvia speaks Spanish and English fluently and has studied French and German for several years. Álvaro J. Sanjuán studied English Literature, History and Linguistics at University of Oviedo (Spain) and continued his studies on Applied Languages at Dublin City University (Ireland). 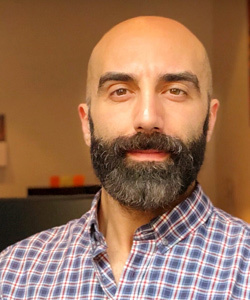 After being an Art History professor in UNIPEC in Burgos (Spain) he worked as Web Manager and Community Manager until he began to collaborate for several years as a tour guide with CEA Madrid where, eventually, he became Student Services Coordinator. He loves arts, history, opera and classical music and also running and outdoor sports.